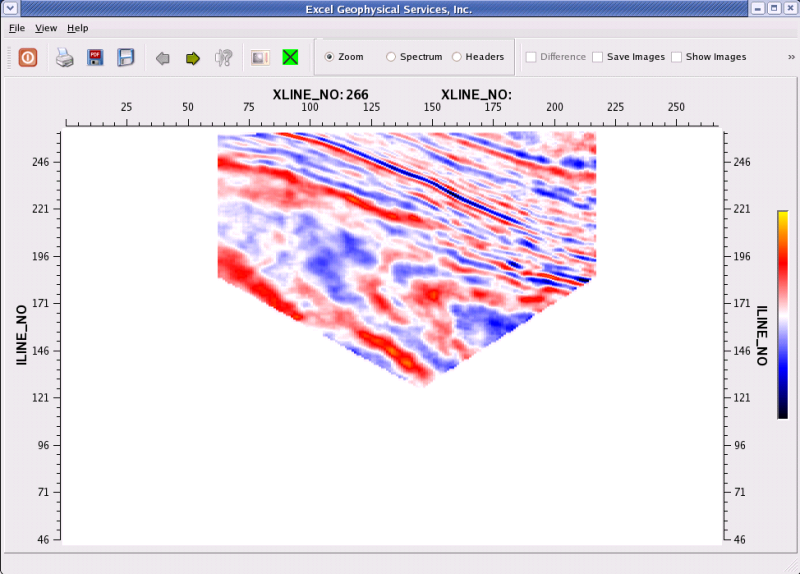 Extract a partial volume from a 3D seismic dataset. A set of polygons are defined where a trace can be accepted or rejected if it falls withing one of the polygons. The polygon pairs can be X/Y coordinates or inline/xline CMP locations. Trace header values are compared against polygon coordinates to see if the trace is valid (passed) or invalid (rejected). The polygon can be drawn in the ‘ASCII Geom Map Viewer’ tool and then imported into the ‘3D Partial Extractions’ tool. Geom Map Viewer where polygon was drawn. 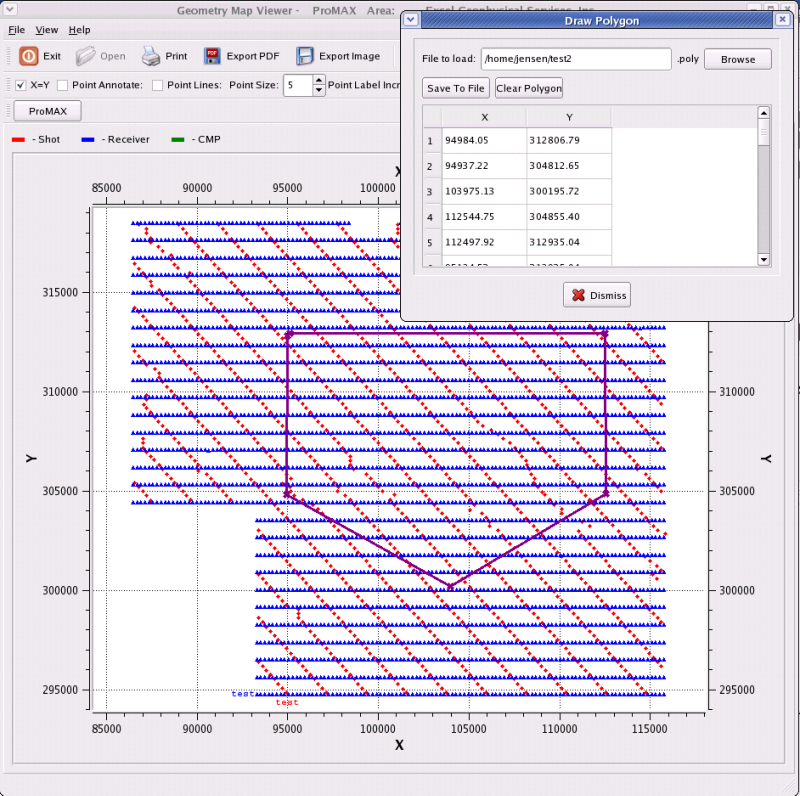 Time slice of 3D seismic dataset showing subset of data.